Part of my new line of stack rings, this adorable sterling silver compass rose charm is soldered to a handcrafted Argentium Silver band. Argentium Silver is a tarnish resistant silver that is made to last and shine! It is made from 100% recycled silver, so it is 100% Eco-friendly! These are made to order. These rings are hand soldered from 16 gauge wire. The more rings you buy, the bigger the discount! These look great alone, stacked together, or stacked with my Argentium twist bands and Sterling beaded bands (available here)- https://www.etsy.com/listing/185319330/argentium-silver-stack-rings-stackable?ref=shop_home_active_3). The band can be left plain or hammered for texture. Hammered band is shown in the photos, plain is a round silver band. Please choose your desired amount of rings and size from the drop down menus. Please specify if you'd like a plain band or a hammered band in a note when checking out. If you would like more than one stack ring, please select the desired amount of rings, and include your choice in the note. Got this as a high school graduation present for my sister. She loves it and so do I. Shipped quickly! Working with Brittany from Kiya Marie Designs was a dream. She had accidentally sold the ring I'd purchased for my son's girlfriend, so she quickly made me another ring to replace it. Once I saw the gorgeous pieces of lavender sea glass she had to choose from, I ordered another ring for myself. The rings came in a few days, beautifully packaged! Payment is due within 24 hours of purchase. Once payment is received, the item will be shipped within 1-2 business days. Please allow 2 weeks for custom orders. Returns accepted within 14 days of purchase if not satisfied. Buyer is responsible for return shipping. Once product is received, refund will be issued. Calculated based on your location. Currently, shipping within the U.S is $4.18 for USPS First Class Mail. International shipping is usually between $10-$15 depending on your location. Check your email for a 5% off coupon after your first purchase! 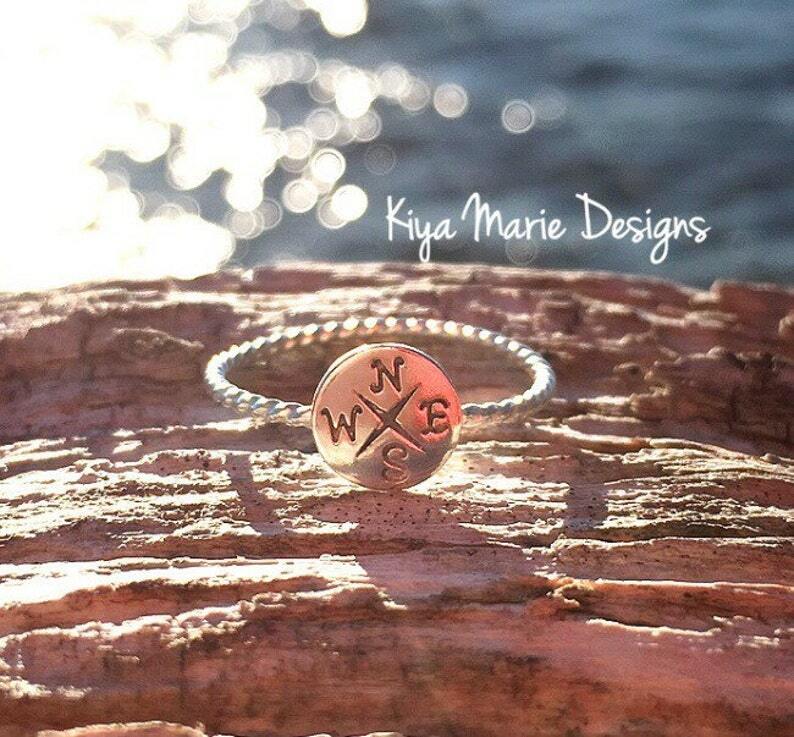 Thank you for your interest in Kiya Marie Designs! I would love for you to carry Kiya Marie Designs Sea Glass Jewelry in your shop. To qualify for a wholesale account, you must have a brick and mortar location and a valid tax ID number. Wholesale customers are limited to one per zip code. Kiya Marie Designs reserves the right to decline any wholesale offer to protect wholesaler exclusivity. If this does happen, I can certainly place you on the waiting list. Please contact me through Etsy and I will provide you with more information about your account, including wholesale pricing and pictures of the inventory.